I think p.4 and p.5 are a tad off (but maybe I'll reevaluate them as my hearing gets worse), but I do subscribe to all other points. *) Facing towards a person is extremely important, because a hearing impaired person gets plenty of missing information from lips movement. Looking sideways mean give 3 times less information -> much higher error rate and much higher effort to follow a conversation. *) Extra point: when starting a conversation, say "hi" first or call a person by name, wait before they turn their head to you, and only then speak. Don't start with important words, first few words will most definitely be misheard. *) Being physically close helps too. Saying something from the other end of the room is just rude to a hearing impaired person. Come up and speak. If you're too lazy to come up, write a f-ing email. *) Hearing aids do help, but they have an unwanted side effect that they amplify remote conversations equally well, which makes it even harder to focus on one of them, if multiple conversations are going in parallel. So, don't speak when your neighbors are speaking, or interrupt them first, and then speak. *) Redundancy is very useful. When speaking about important things, say them several times with different words. Don't omit "apparent" context. *) If I don't have interested in hanging out with you, it doesn't necessarily mean our interests don't match or I don't like you. Maybe just I can't hear you. See p.3., it does take effort. *) Use headsets when possible. If you aren't using headphones, feedback-reducing technology often reduces quality of sound. *) Make clear pauses between every few words. Pauses help deal with low bandwidth, as they're encoded in smaller number of bits via VoIP. *) Upload bandwidth is the key for me to understand you. Choose the right internet plan. *) Use higher quality technology. Hearing impaired people make use of much larger range of sound spectrum that's commonly considered as "useful for voice transmission". Higher pitches are super-helpful to decipher consonant sounds, and hearing loss usually impacts higher pitch range more than lower pitch range. However, higher pitch sounds require much more bandwidth for quality transmission. *) Get a higher quality mic. Condenser mics work much better than dynamic. Yes, they pick up more noise, but they also pick up all the overtones and higher pitch sounds, and provide much more consistency, regardless of how close your mouth is to the mic. There are cheap condenser mics that cost just $20. 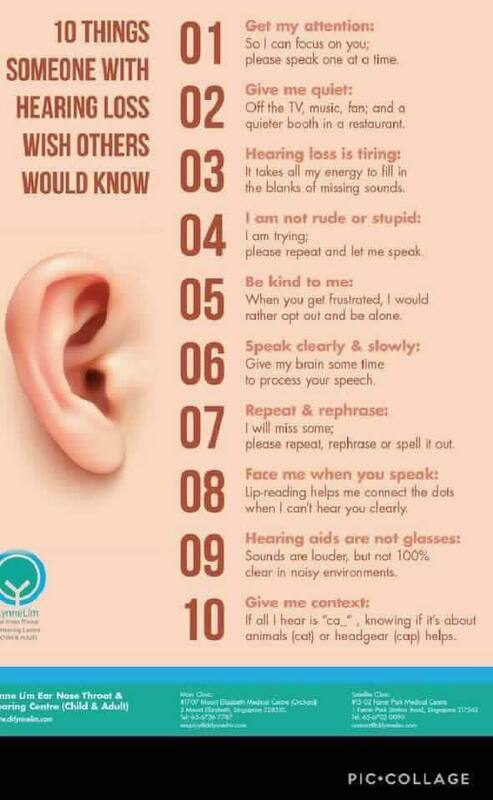 Get them to talk with your hearing impaired friend. *) Get yourself in a place with better coverage and less noise. Avoid moving too much, if situation allows. *) Prefer video over just voice. It's easier to hear what you're saying when one can also see what you're saying. Face me when you speak это всем будет полезно. Я не считаю себя hearing impaired, но если говорят в другую сторону, экранируют звук своей же башкой. Это просто глупо. Опять же, мне и без всякой инвалидности нужны ресурсы для более важных вещей, чем мгновенно воспринимать всякий бред. Поэтому если я о чем-то думаю, я могу запросо выгрузить в медленную память весь движок распознавания речи. Кроме того, помимо hearing loss бывает и CAPD. С ним (особенно в лёгкой форме), конечно, проще, чем с потерей слуха, но п.1 и п.2 очень даже применимы. За любой cross-talk хочется убить (в реальности "А-А-А! Всем молчать, а потом по одному! "), и за любой звуковой фон по радио поверх речи диктора - тоже.